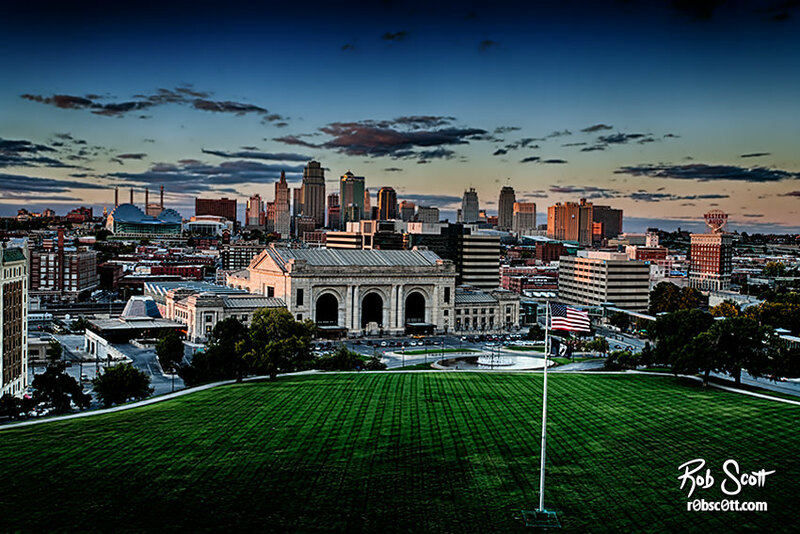 The view of Union Station from Liberty Memorial is one of the most iconic views of Kansas City. The memorial sits on top of a hill and looks down on Union Station, which allows the skyline to take up more of the frame and provide a dramatic background. Kansas City might not have a skyline that can compete with larger cities, but the unique aspects like Bartle Hall, The Kauffman Center for the Performing Arts, The Western Auto Building, make it one of a kind.